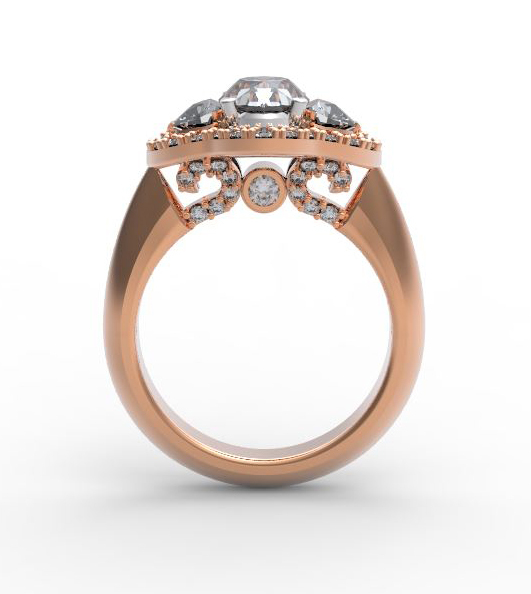 Many times customers ask us “What if?” or “What is possible?” When we hear that, Thomas Joseph & Sons draws on our wealth of experience to design and create beautiful custom jewelry to get that truly unique and one of a kind piece you dream of. Our process is collaborative, creative, and dare we say fun? We work closely with you to create initial sketches where you’ll start to see your dream come to life. From there we either use 3d modeling technology or our incredibly talented wax carver to make a model. Once the design has been finalized and approved, our craftsmen cast the model in the metal of your choosing and set the stones to make your dream a reality.